In 2015 FCA, and Mopar shook up the American Muscle car market with the Hellcat, since then the Hellcat has sat comfortable upon the throne of American Muscle, until now. Early this year Dodge dropped subtle hints as to what this sinister ride could do, because 707 horsepower wasn’t enough… The guys over at Dodge are coming through in a colossal way with the Challenger SRT DEMON. They have gotten drag tires approved for the streets, shaved over 200 pounds off of the Hellcat, and PROMISED over 900 horsepower (because why not). 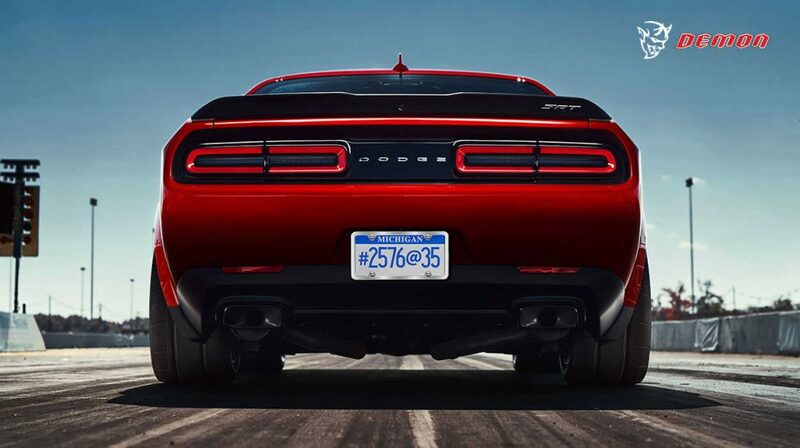 It seems that the only one to dethrone Dodge, is Dodge… We cannot wait to get our hands on one of these. Stay tuned to Dodge Demon Official for more teaser trailers of the 2018 Dodge Demon, as well as the official release.